Our physicians and staff are honored to have the trust of our current and future patients. 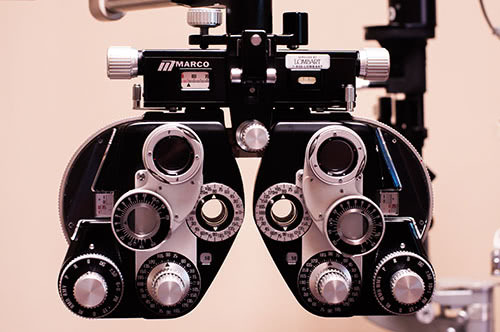 From our comprehensive and subspecialty care, to our ambulatory surgery center and our in-house optical shop, we’re ready to provide all your eye care needs here at the Eye Center of Central Georgia. 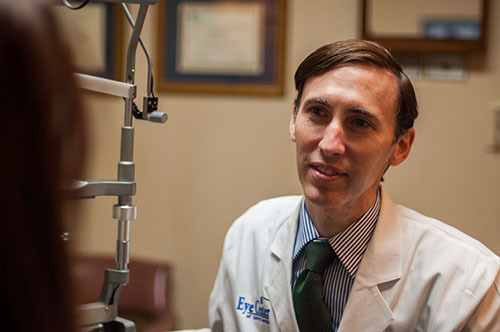 We're happy that you chose the Eye Center of Central Georgia for your eye care needs. Here, you can find all of the forms and information that you will need prior to your appointment. 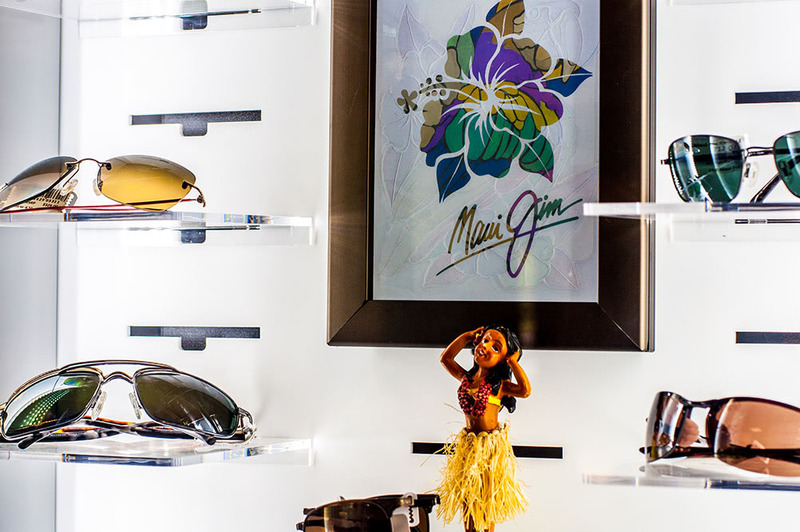 At Eye Designs, Eye Center of Central Georgia's optical shop, you will be fitted for all of your eyewear needs, including fashion eyeglasses and contact lenses, in a professional and friendly environment. If glasses are your preference, browse through our extensive collection of eyeglass frames. Choose from a wide variety of shapes, colors and styles from popular designers. 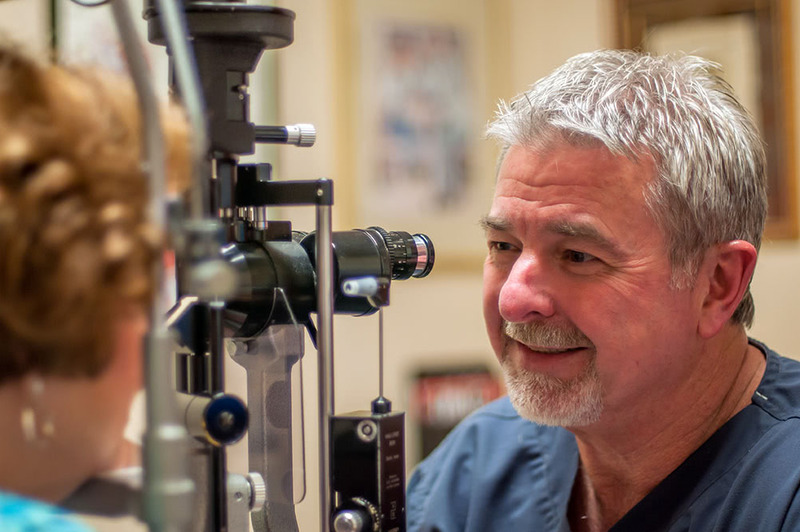 Our physicians have over 60 years of combined ophthalmic experience and have been performing refractive surgery as a team for over 20 years. 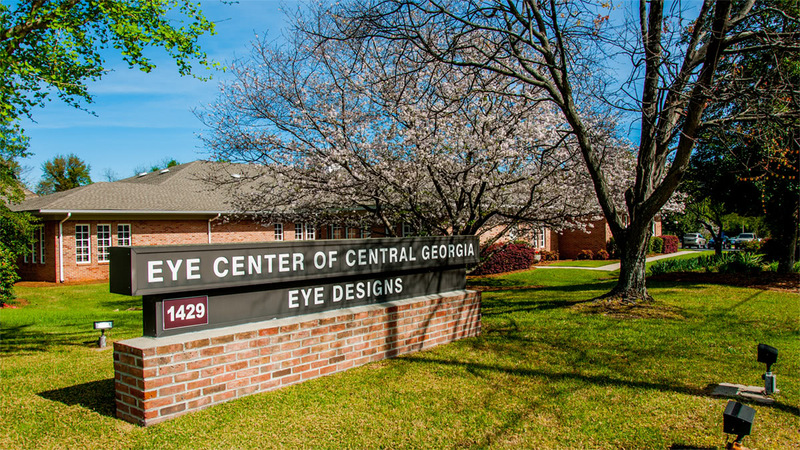 To offer you the full range of eye care under one roof, Eye Center of Central Georgia features an ambulatory surgery center with a laser suite as well as two fully equipped and fully staffed operating rooms. Our surgery center, established in 1985, was the first Ophthalmic Ambulatory Surgery Center in Middle Georgia and has been certified by the Accreditation Association of Ambulatory Health Care, Inc. (AAAHC) since 1985. 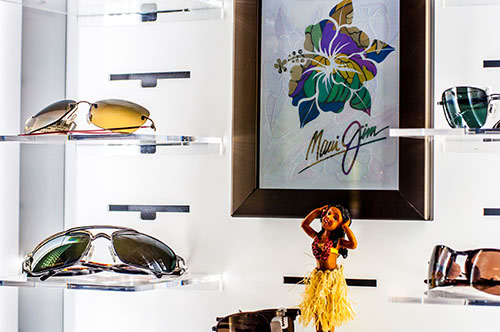 At Eye Designs, Eye Center of Central Georgia's optical shop, you will be fitted for all of your eyewear needs, including fashion eyeglasses and contact lenses, in a professional and friendly environment. This notice describes how medical information about you may be used and disclosed and how you can get access to this information. If you have any questions about this Notice please contact our Privacy Officers Vicki Grimsley or Cindy Holt. This Notice of Privacy Practices describes how we may use or disclose your protected health information to carry out treatment, payment or health care operations and for other purposes that are permitted or required by law. It also describes your rights to access and control your protected health information. "Protected health information" is information about you, including demographic information, that may identify you and that relates to your past, present or future physical or mental health or condition and related health care services. We are required to abide by the terms of the Notice of Privacy Practices. We may change the terms of our notice, at any time. The new notice will be effective for all protected health information that we maintain at that time. Upon your request, we will provide you with any revised Notice of Privacy Practices by accessing our website (www.myeyecenter.com), calling the office and requesting a revised copy be sent to you or asking for one at the time of your next appointment. Treatment: We will use and disclose your protected health information (hereafter referred to as PHI) to provide, coordinate, or manage your health care and any related services. 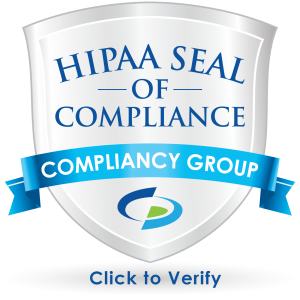 This includes the coordination of management of your health care with a third party that has already obtained your permission to have access to your PHI. For example, we would disclose your PHI, as necessary, to a home health agency that provides care to you. We will also disclose PHI to other physicians who may be treating you when we have the necessary permission from you to disclose your PHI. For example, your PHI may be provided to a physician to whom you have been referred to ensure that the physician has the necessary information to diagnose or treat you. In addition, we may disclose your PHI from time-to-time to another physician or health care provider (e.g., a specialist or laboratory) who, at the request of your physician, becomes involved in your care by providing assistance with your health care diagnosis or treatment to your physician. Payment: Your PHI will be used, as needed, to obtain payment for your health care services. This may include certain activities that your health insurance plan may undertake before it approves or pays for the health care services we recommend for you such as; making a determination of eligibility or coverage for insurance benefits, reviewing services provided to you for medical necessity, and undertaking utilization review activities. 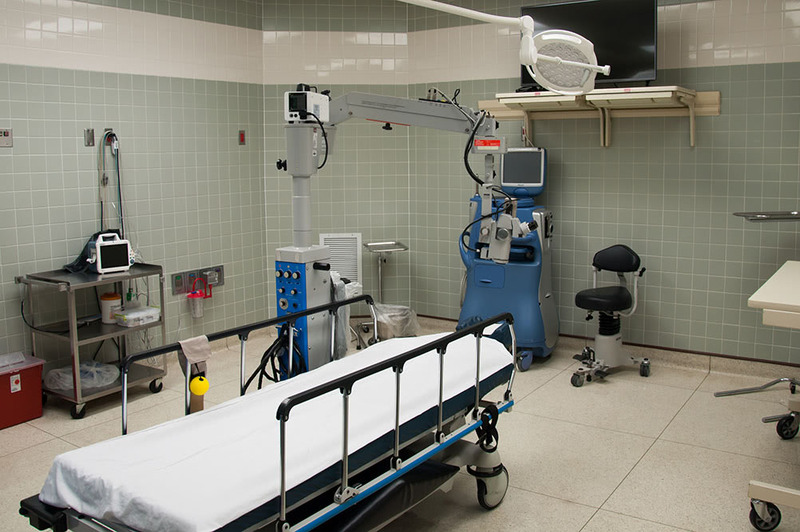 For example, obtaining approval for a hospital stay may require that your relevant PHI be disclosed to the health plan to obtain approval for the hospital admission. If you elect to pay "out of pocket" for a procedure, service or visit, and request that the practice does not disclose this information to a health plan, we will not disclose this information unless required by law. Healthcare Operations: We may use or disclose, as needed, your PHI in order to support the business activities of your physician's practice. These activities include, but are not limited to, quality assessment activities, employee review activities, training of medical students, licensing, marketing and fundraising activities, and conducting or arranging for other business activities. For example, we may disclose your PHI to medical school students that see patients at our office. In addition, we may use a sign-in sheet at the registration desk where you will be asked to sign your name and indicate your physician. We may also call you by name in the waiting room when your physician is ready to see you. In an effort to maintain privacy of PHI, patient charts will remain outside the exam room door with minimal access during your visit. We may use or disclose your PHI, as necessary, to contact you to remind you of your appointment at the telephone numbers you provide unless you specify otherwise. We will share your PHI with third party "business associates" that perform various activities (e.g., billing, transcription services) for the practice. Whenever an arrangement between our office and a business associate involves the use or disclosure of your PHI, we will have a written contract that contains terms that will protect the privacy of your PHI. We may use or disclose your PHI, as necessary, to provide you with information about treatment alternatives or other health-related benefits and services that may be of interest to you. We may also use and disclose your PHI for other marketing activities. For example, your name and address may be used to send you a newsletter about our practice and the services we offer. We may also send you information about products or services that we believe may be beneficial to you. You may contact our Privacy Officer to request that these materials not be sent to you. We may use or disclose your demographic information and the dates that you received treatment from your physician, as necessary, in order to contact you for fundraising activities supported by our office. If you do not want to receive these materials, please contact our Privacy Officer and request that these fundraising materials not be sent to you. Other uses and disclosures of your PHI will be made only with your written authorization, unless otherwise permitted or required by law as described below. You may revoke this authorization, at any time, in writing, except to the extent that your physician or the physician's practice has taken an action in reliance on the use or disclosure indicated in the authorization. We may use and disclose your PHI in the following instances. You have the opportunity to agree or object to the use or disclosure of all or part of your PHI. If you are not present or able to agree or object to the use or disclosure of the PHI, then your physician may, using professional judgment, determine whether the disclosure is in your best interest. In this case, only the PHI that is relevant to your health care is disclosed. Others Involved in Your Healthcare: Unless you object, we may disclose to a member of your family, a relative, a close friend or any other person you identify, your PHI that directly relates to that person's involvement in your health care. If you are unable to object or agree to such a disclosure, we may disclose such information as necessary if we determine that it is in your best interest based on our professional judgment. We may use or disclose PHI to notify or assist in notifying a family member, personal representative or any other person that is responsible for your care of your location, general condition or death. Finally, we may use or disclose your PHI to an authorized public or private entity to assist in disaster relief efforts and to coordinate uses and disclosures to family or other individuals involved in your health care. Central Georgia Health Exchange: The Eye Center of Central Georgia participates in the Central Georgia Health Exchange (CGHE). If you have already authorized the sharing of your PHI into the Health Exchange, and you agree to participate in the Health Exchange by signing the permission form at the Eye Center of Central Georgia, we well update your Health Exchange record with your PHI from the records at the Eye Center of Central Georgia. If you have not previously authorized the sharing of your PHI into the Health Exchange, of if you do not agree to participate from our office, the PHI disclosed by the Eye Center of Central Georgia will not be used to update the Health Exchange. Additional information about the Central Georgia Health Exchange is available from the CGHE website (https://www.cghe.net) or from your primary care physician's office. Emergencies: We may use or disclose your PHI in an emergency treatment situation. If this happens, your physician shall try to obtain your consent as soon as reasonably practicable after the delivery of treatment. If your physician or another physician in the practice is required by law to treat you and the physician has attempted to obtain your consent but is unable to obtain your consent, he or she may still use or disclose your PHI to treat you. Communication Barriers: We may use or disclose your PHI if your physician or another physician in the practice attempts to obtain consent from you but is unable to do so due to substantial communication barriers and the physician determines, using professional judgment, that you intent to consent to use or disclosure under the circumstances. Marketing Purposes: We may use your PHI to communicate about a product or service that encourages the use of the product or service. We will only send these communications if we have your consent to do so, and you may "opt out" of receiving these communications at any time. We will not disclose your PHI to a business associate or third party for that party's own purpose. Required By Law: We may use or disclose your PHI to the extent that law requires the use or disclosure. The use or disclosure will be made in compliance with the law and will be limited to the relevant requirements of the law. You will be notified, as required by law, of any such uses or disclosures. Public Health: We may disclose your PHI for public health activities and purposes to a public health authority that is permitted by law to collect or received the information. The disclosure will be made for the purpose of controlling disease, injury or disability. We may also disclose your PHI, if directed by the public health authority, to a foreign government agency that is collaborating with the public health authority. Health Oversight: We may disclose PHI to a health oversight agency for activities authorized by law, such as audits, investigations, and inspections. Oversight agencies seeking this information include government agencies that oversee the health care system, government benefit programs, other government regulatory programs and civil rights laws. Abuse or Neglect: We may disclose your PHI to a public health authority that is authorized by law to receive reports of child abuse or neglect. In addition, we may disclose your PHI if we believe that you have been a victim of abuse, neglect or domestic violence to the government entity or agency authorized to receive such information. In this case, the disclosure will be made consistent with the requirement of applicable federal and state laws. Food and Drug Administration: We may disclose your PHI to a person or company required by the Food and Drug Administration to report adverse events, product defects or problems, biologic product deviations, track products; to enable product recalls; to make repairs or replacements, or to conduct post marketing surveillance, as required. Legal Proceedings: We may disclose PHI in the course of any judicial or administrative proceeding, in response to an order of a court or administrative tribunal (to the extent such disclosure is expressly authorized), in certain conditions in response to a subpoena, discovery request or other lawful process. Law Enforcement: We may also disclose PHI, so long as applicable legal requirements are med, for law enforcement purposes. These law enforcement purposes include (1) legal processes and otherwise required by law, (2) limited information requests for identification and location purposes, (3) pertaining to victims of a crime, (4) suspicion that death has occurred as a result of criminal conduct, (5) in the event that a crime occurs on the premises of the practice, and (6) medical emergency (not on the Practice's premises) and it is likely that a crime has occurred. Coroners, Funeral Directors and Organ Donation: We may disclose PHI to a coroner or medical examiner for identification purposes, determining cause of death or for the coroner or medical examiner to perform other duties authorized by law. We may also disclose PHI to a funeral director, as authorized by law, in order to permit the funeral director to carry out their duties. We may disclose such information in reasonable anticipation of death. PHI may be used and disclosed for cadaveric organ, eye or tissue donation purposes. Criminal Activity: Consistent with applicable federal and state laws, we may disclose your PHI, if we believe that the use or disclosure is necessary to prevent or lessen a serious and imminent threat to the health or safety of a person or the public. We may also disclose PHI if it is necessary for law enforcement authorities to identify or apprehend an individual. Military Activity and National Security: When the appropriate conditions apply, we may use or disclose PHI of individuals who are Armed Forces personnel (1) for activities deemed necessary by appropriate military command authorities; (2) for the purpose of a determination by the Department of Veterans Affairs of your eligibility for benefits, or (3) to foreign military authority if you are a member of that foreign military services. We may also disclose your PHI to authorized federal officials for conducting national security and intelligence activities, including for the provision of protective services to the President or others legally authorized. Workers Compensation: Your PHI may be disclosed by us as authorized to comply with workers' compensation laws and other similar legally established programs. Inmates: We may use or disclose your PHI if you are an inmate of a correctional facility and your physician created or received your PHI in the course of providing care to you. Following is a statement of your rights with respect to your PHI and a brief description of how you may exercise these rights. You have the right to inspect and copy your protected health information. This means you may inspect and obtain a copy of PHI about you that is contained in a designated record set for as long as we maintain the PHI. A "designated record set" contains medical and billing records and any other records that your physician and the practice use for making decisions about you. Under federal law, however, you may not inspect or copy the following records; psychotherapy notes; information compiled in reasonable anticipation of, or use in, a civil, criminal, or administrative action or proceeding, and PHI that is subject to law that prohibits access to PHI. Depending on the circumstances, a decision to deny access may be reviewable. In some circumstances, you may have a right to have this decision reviewed. Please contact our Privacy Officers if you have questions about access to your medical record. You have the right to request a restriction of your protected health information. This means you may ask us not to use or disclose any part of your PHI for the purpose of treatment, payment or healthcare operations. You may also request that any part of your PHI not be disclosed to family members or friends who may be involved in your care or for notification purposes as described in this Notice of Privacy Practices. Your request must state the specific restriction requested and to whom you want the restriction to apply. Your physician is not required to agree to a restriction that you may request. If physician believes it is in your best interest to permit use and disclosure of your PHI, your PHI will not be restricted. If your physician does agree to the requested restriction, we may not use or disclose your PHI in violation of that restriction unless it is needed to provide emergency treatment. With this in mind, please discuss any restriction you wish to request with your physician. You may request a restriction by contacting one of our Privacy Officers. You have the right to request to receive confidential communications from us by alternative means or at an alternative location. We will accommodate reasonable requests. We may also condition this accommodation by asking you for information as to how payment will be handled or specification of an alternative address or other method of contact. We will not request an explanation from you as to the basis for the request. Please make this request in writing to one of our Privacy Officers. You may have the right to have your physician amend your protected health information. This means you may request an amendment of PHI about you in a designated record set for as long as we maintain this information. In certain cases, we may deny your request for an amendment. If we deny your request for amendment, you have the right to file a statement of disagreement with us and we may prepare a rebuttal to your statement and will provide you with a copy of any such rebuttal. Please contact our Privacy Officer to determine if you have questions about amending your medical record. You have the right to an electronic copy of your health records when PHI is maintained in an electronic format. Not all patient records at the Eye Center of Central Georgia are maintained in an electronic format. Your health records may be a combination of paper and electronic records, and you may not be able to receive an electronic copy of your full health records. You have the right to be notified if a breach of confidentiality occurs. This means that you will be advised if your unprotected PHI is intentionally or unintentionally disclosed for any use not permitted or authorized in writing. You may contact our Privacy Officers, Vicki Grimsley or Cindy Holt at (478) 743-7061 for further information about the complaint process. This notice was first published and became effective on October 1, 2002. It was last reviewed on February 1, 2016.